This is definitely a tongue in cheek book about the Advertising World. A lot of what happens can and does happen in most any field where the "youth culture" is prevalent and of course greed and back stabbing always seem to occur no matter where you work. But as you get older these things seem to happen more and more! But what if you had a chance to fight your way back to the top? You will get more then one laugh out of this one and as for the ending-------as one door closes----another opens and life goes on!! That is all I am going to say!!!!! I suggest you read this book--social commentary at it's best. I have never heard about this author before, and will have to check him out more! Great review and this looks to be a book I will also be checking out soon! My husband loves Mad Men. I am definitely going to tell him about this book because I think he would really like it. This book sounds fantastic! I love that it's a combination of God, humor and fits in with today's society. 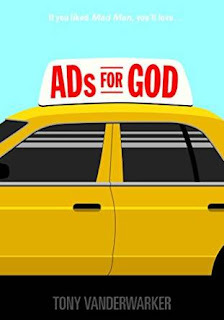 I definitely think we could use a little more God in advertising. I will definitely add this to my list of must-reads, thanks so much for the review! Miki: Thanks much for the review and I appreciate all the positive comments, nothing makes an author's day like hearing good stuff about your book. And watch for my next one:"I'm Not From the South But I Got Down Here As Fast As I Could". Sounds like a great book. He sounds realistic! I like when people call it out like it is! Now this sounds really fun! I think it will make great reading for airplane flights for me. It sounds like a fun read! I'm totally in the mood for something fun/ny. I love reading tongue-in-cheek writing - this sounds like a book I need to add to my summer reading list! I love researching marketing too, so getting to see behind the scenes would interesting too! This sounds interesting, but based on it's title, I'm even more intrigued about the next book! I've never heard of Mad Men before, but this book sounds fun. I would love to read this. Sounds like a great book to read while hanging out on the beach! Advertising surrounds us and I think it effects an individuals ability to think critically. I love your website. I have never heard of half of these authors but you have great reviews. Thanks for sharing. This sound like a great read. I will have to check into this. Would be great reading sitting under a shade tree in my yard. I was wondering if it would be like Mad Men. I see that it is. Which means my husband and I would both like it. I've been reading some books with heavy topics in them. This book sounds like a nice change of pace. I could sure use an easy read with some good laughs! God taps him for help on marketing campaign! I like the plot. Sounds like a book I could enjoy. This is an interesting concept. Glad you liked the book! This sounds like a book that I would love to read!! I am always looking for good reads to add to my summer reading list!! The ad world moves so fast and is so intense. I think we get to see a lot of that through this book. Sounds pretty interesting. I'm pretty sure peeps in the advertising field would love this book! I'm not so sure this is my kind of book genre. You did a great review though. This sounds like a really great book to read. I wonder how God's campaign work out? You have introduced me to so many good books and authors. I need a week to catch up on my reading. Considering I work in Marketing full-time, I think this book would be right up my alley! This sounds like a super interesting book. I really liked Mad Men, so I think it would be a goo match for me. I'll have to get a copy. Thanks for the great recommendation. I've never read Mad Men and have never heard of it before now either. This one does however sound interesting but would have to read MM first I think. You always review the coolest books! I loved Mad Men so I'll keep this on my list of things to read! Thanks! Ha! 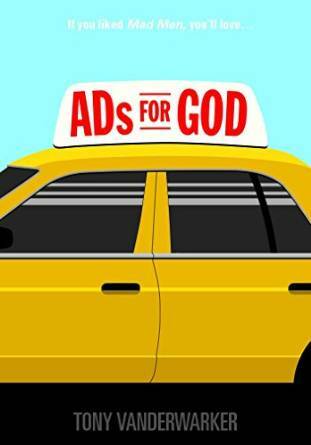 God's advertising campaign, that's a good one. I'd like to read this!